I love my dining room. 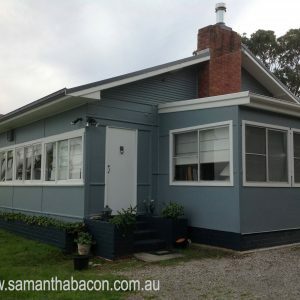 It is lined with bookshelves and music and I love entertaining there. I also just like to go in and sit at the dining table – it’s in the cooler part of the house – so sometimes I just camp there with my laptop to work. I know though that many people don’t have a dedicated dining room. 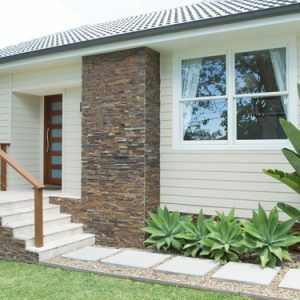 Depending on where you live and the local climate, you may find that you dine outside for most of the year or have a large casual open plan area where you have a table. However your house is arranged, there is no doubt that you really benefit from having a dining space of some description. 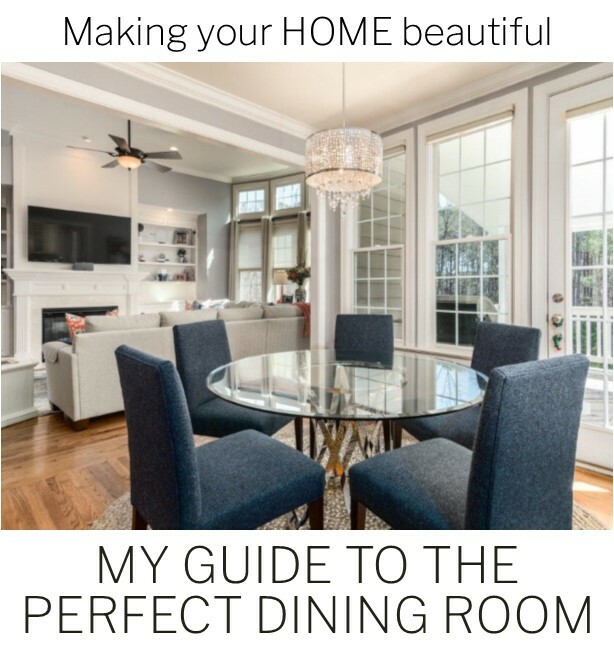 I have lots of ideas and inspiration in this guide to help you create a dining room or space that you will love to entertain in. The size of your table or if you don’t own one, how many you would like to seat. The shape of your table and whether you need to consider additional space if it is an extendable one. Don’t think that you have to have a rectangular dining table as often the space may be better suited to a round or square option. Ideally you will also have room close by for a buffet or wall cabinet – in addition to being very practical, it also helps to dress the room. Consider other elements in the space – for example, a fireplace, bookshelves etc. Look at where the doors are – internal and external. It is important when considering the amount of space that you have that you leave room for people to move around and so you need to consider passageways when planning out the space. 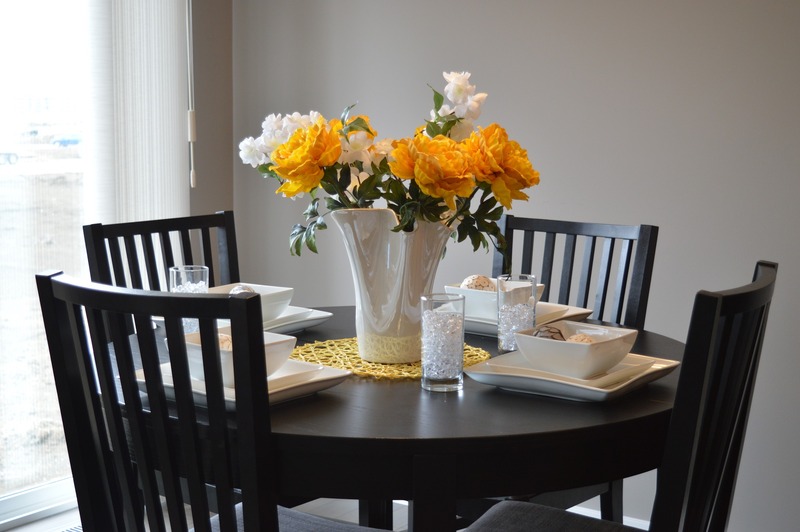 Consider how much space you have when the dining chairs are moved away from the table. You really need to allow at least 60cm around the table for the chair to be pushed back comfortably. 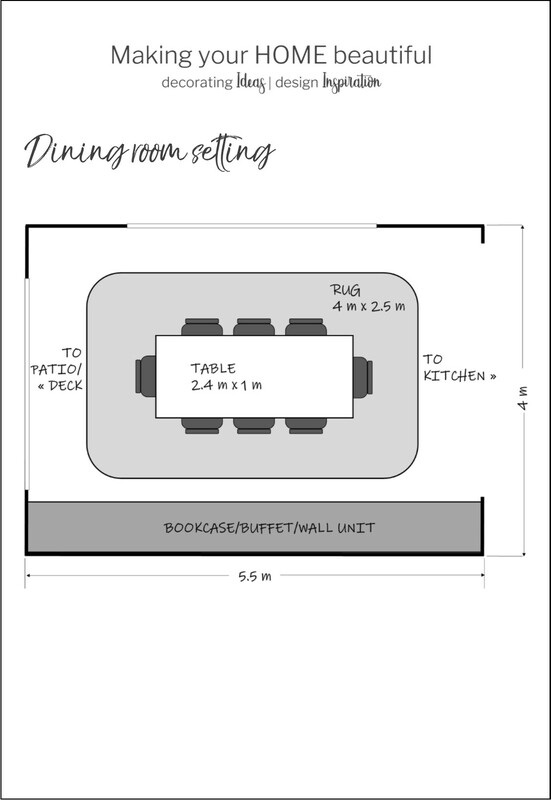 My guide below shows you the space you need to allow for a dining table that is 2.4m x 1m. How many people do you want to seat in your dining room? As discussed above, your table can be any shape and the amount of space you have may dictate that. 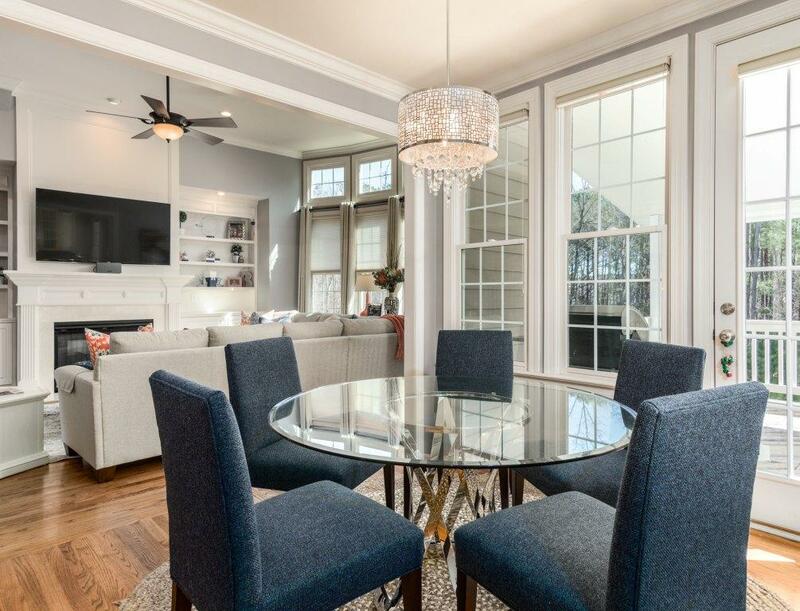 My advice is to always buy the biggest table that the space will allow – families expand and gatherings with friends can sometimes be large and it is always good to have more space rather than less. My dining table seats 8 comfortably, 10 at a push and even more if some are little ones. This suits the space I have perfectly but if I had a larger room, I would buy a larger table. But you will know how many you regularly entertain or indeed if you have a large family, this may be an everyday event! 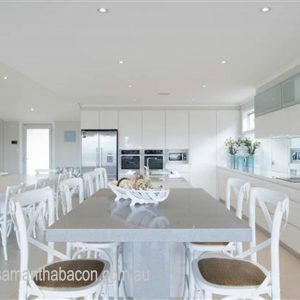 So once you have worked out the space from the points above, you know how much spare room you need for people to move around, you can push back a chair comfortably and you have left room for buffets, fireplaces etc., see what is left for a table and fill the space. There is nothing worse than furniture being out of proportion to a room and a dining table that is too small for the space will look wrong. Don’t just look at the size of the table – consider where the legs are placed! So often I hear that people have bought a lovely large dining table but in fact can’t make the best use of the size as the legs are placed in an awkward position. A rectangular table with the legs at each corner, as in the image above, will give you the most useable space. Always look carefully at the leg placement and the size of your dining chair. If the legs are not at the corner you may find that a table you thought you could seat 8 at, only comfortably seats 6. 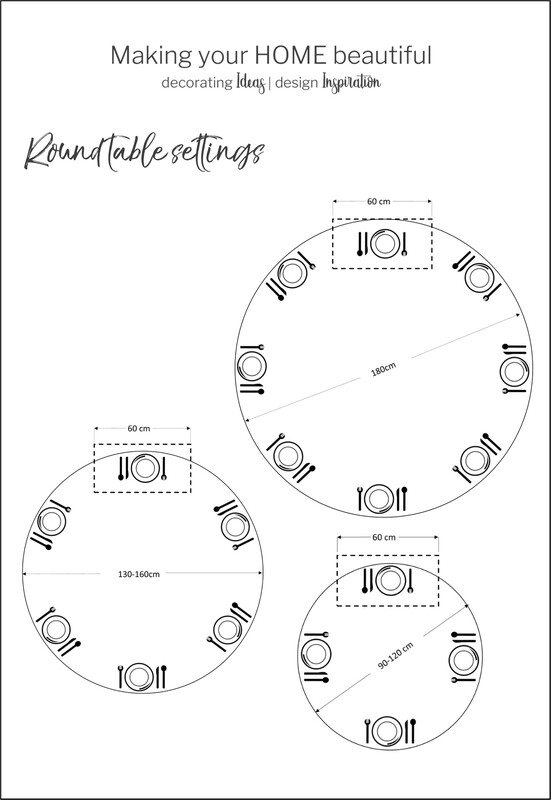 If you do want to opt for a round table, this guide below shows you how many place settings you can comfortably fit at each size. A word of caution though with round tables, these settings only comfortably work if you have a pedestal style round table. You can see in the image above that the chair legs are on the edge of the table ensuring only 4 people can sit here – there is no chance of being able to squeeze in an extra setting. There is nothing worse than a chair leg catching on the edge of a rug so ensure that you leave enough space to push the chair back and a bit extra. About 750mm – 800mm is a good guide but if you have more space you can be more generous with a rug. Even though I am a fan of the traditional dining room, I have to say that I don’t like anything that is too formal. Antique dining tables are gorgeous but I come out in hot flush if I have to eat at one as I am terrified of damaging the surface. There is nothing worse than seeing friends hover with a wine glass, not knowing where they can comfortably place it. So for me I have to have a table that you can comfortably use. You may still need to use placemats etc. but really you need to have a relaxed and welcoming feel to make sure your guests have a good time. So select a table that is functional and easy to maintain. 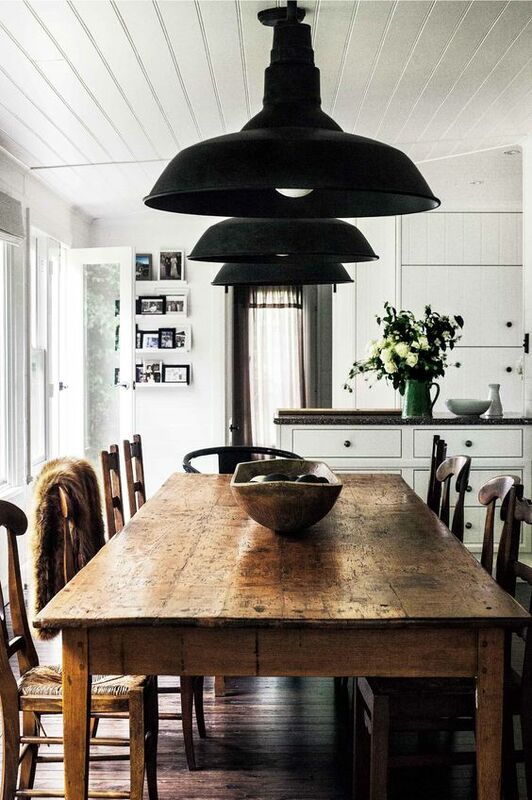 A simple timber table that you can scrub down is the perfect relaxed table to eat at! Instead of formal linens, dress the table with table runners and generous sized place mats. 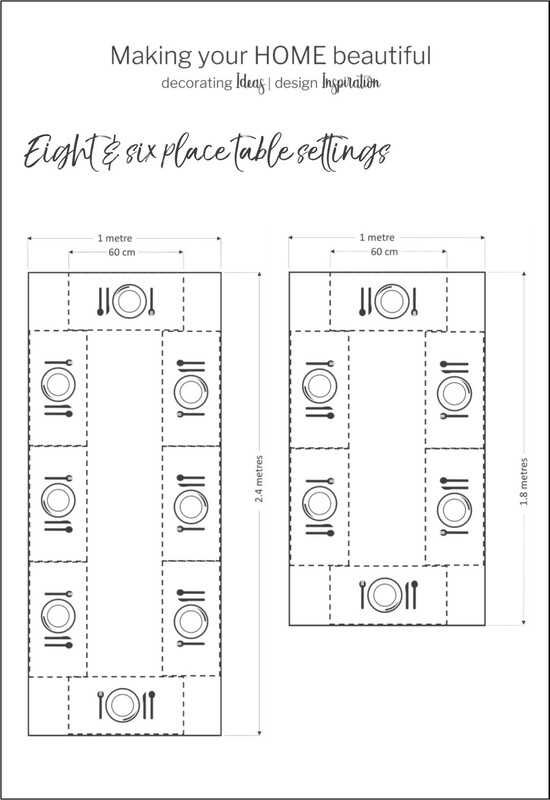 Ideally, unless you want someone’s elbows in your space, you need to allow 60cm for a place setting so a linen table mat that is just short of this size will be perfect. This casually designates a diner’s space and then you can dress it with plates, cutlery, napkins etc. to make the look more special. As the dining room is where you hopefully spend lazy afternoons or evenings with friends and family, I believe this is the room in the house that should say the most about who you are so ensure there is a good dash of personality in the room to make it comfortable and welcoming. 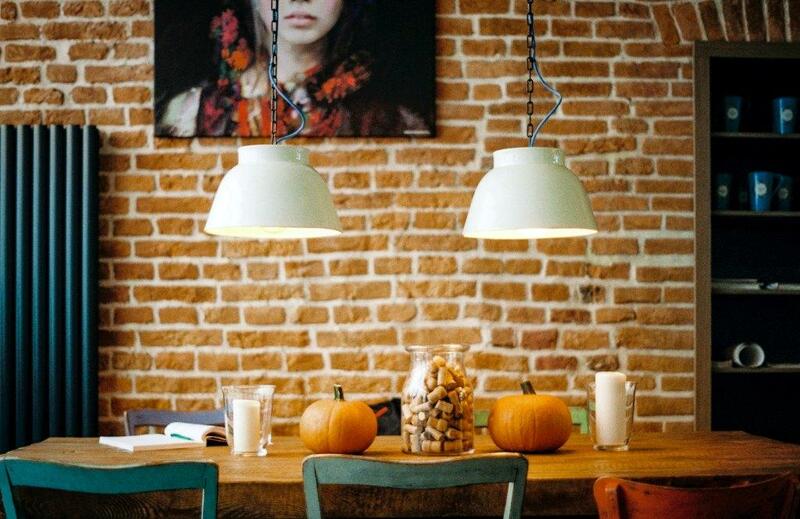 The exposed brick, original artwork and quirky mis-matched chairs in the dining room above give you an insight to the owner of this room. 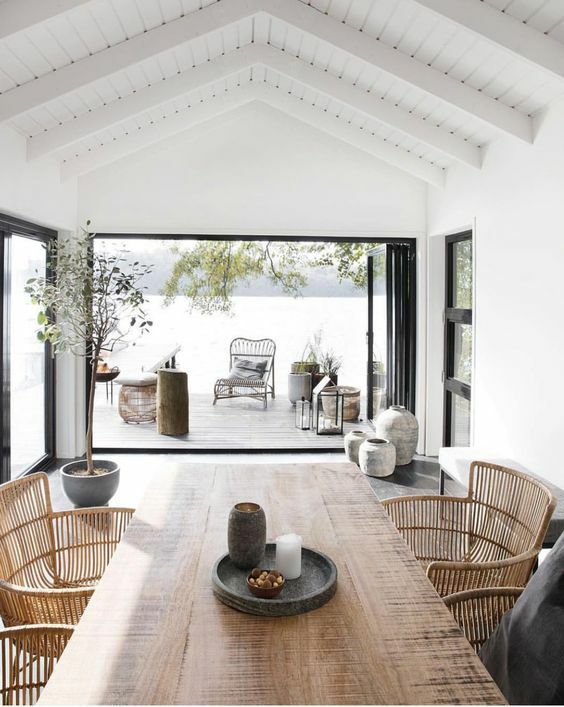 I really love this casual dining room which has been designed to just accommodate a generous dining setting but when you lead out to such a gorgeous view and outdoor seating area, you don’t really need anything else. The great thing about styling now is that the traditional table and chairs that has to match is not necessarily the right choice. If you do happen to find a gorgeous contemporary table and chairs that are a setting, as in the image below, then it can look great but often chairs that are different to the table can look very effective too. I am often asked by clients to help them to find a new dining setting and more often than not, I recommend that they keep the table they have and just buy new chairs. 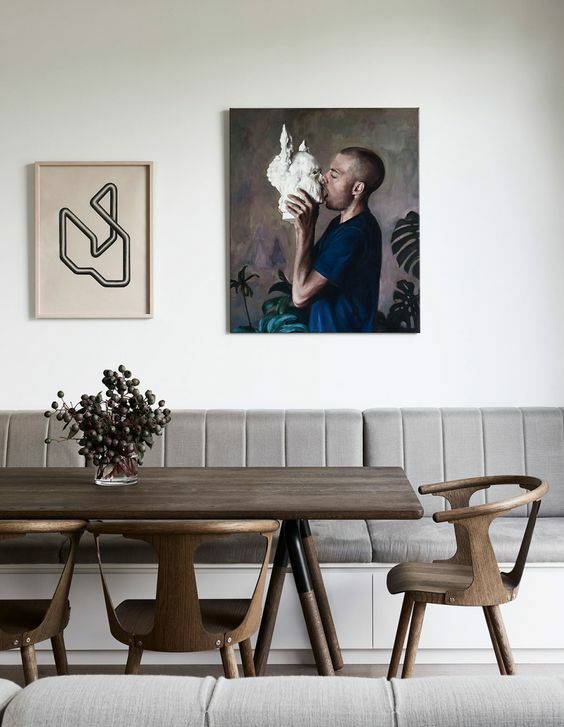 One of my favourite solutions to dining seating is the banquette. I love the casual look and flexibility that they offer. Often used in a breakfast nook, by upgrading the style of banquette and using an upmarket table and chairs you elevate the cosy breakfast nook to a more traditional dining room. 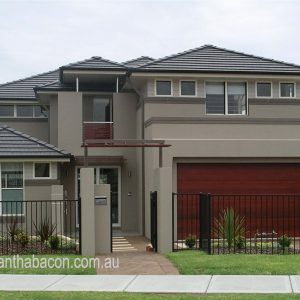 This is a great solution for a family as you can happily squeeze in extra bodies and it also maintains a great relaxed look and feel in the space. If the dining nook is next to a window then you also have a great window seat too. Overall height – I prefer a lower back that is high enough for comfort yet low enough to not spoil the flow of a room. Often high back chairs will create a blockage in a room, particularly if your dining area is part of a larger open plan space. 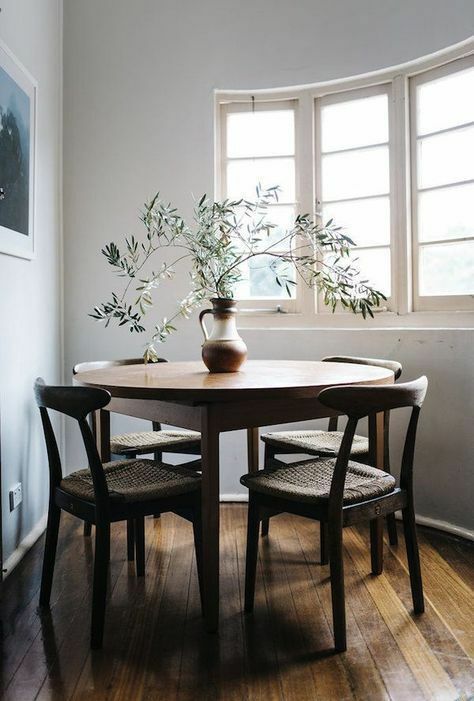 Seat height – some tables, particularly older style ones, may have timber bars below the table top which means if you have a chair seat that is too high, the top of your thighs may graze the table. Often people like the look of a dining chair but for comfort will add a cushion and this can sometimes make the overall height too high. Upholstery – upholstered dining chairs are very comfortable but can also be less practical, particularly if you have little fingers all over them. 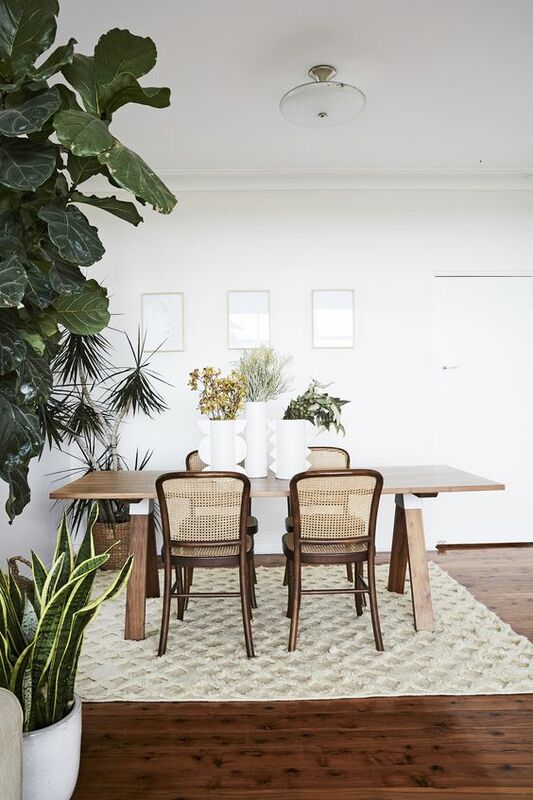 Ensure you select a fabric that can be easily cleaned – many contemporary fabrics are very durable – or opt for slip covers that can be thrown in the wash.
Leather dining chairs with a contemporary low back are a good solution and are more durable than most fabrics. 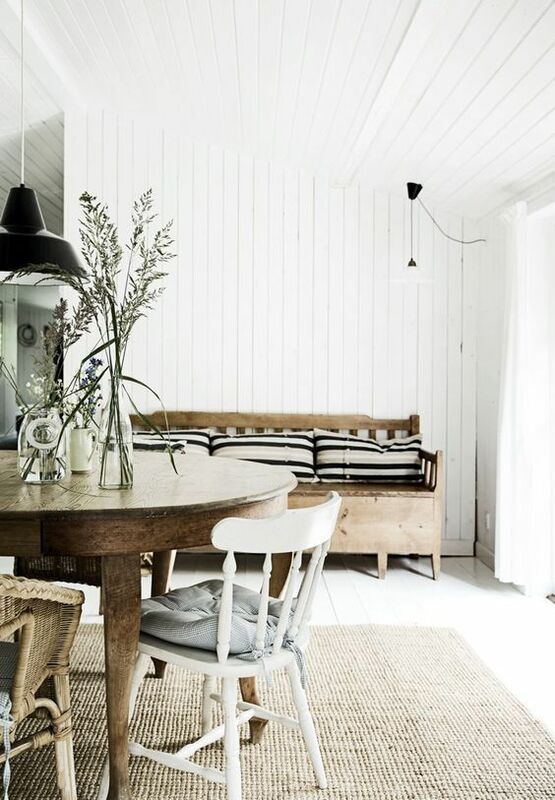 These chairs are great for a simple, laid back look and particularly suit the Australian Coastal or Scandi style. Consider whether you want a carver chair – with arms – or a simple style without arms. Of course anything with arms is less flexible and takes up more space but is also much more comfortable. Remember that the chair does not necessarily have to match the table. I have an old scrubbed pine dining table that now lives in my outdoor room and I have never had chairs that match. 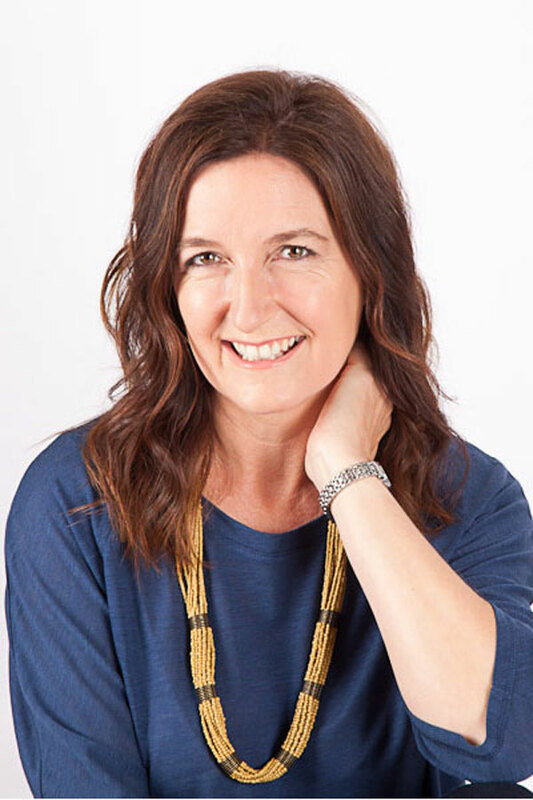 It has followed me around the world and I have partnered it with upholstered chairs, rattan chairs, benches and now it has folding white timber chairs around it. A beautiful dining chair can make quite a statement and will need to relate to the style of your room more than the table will. 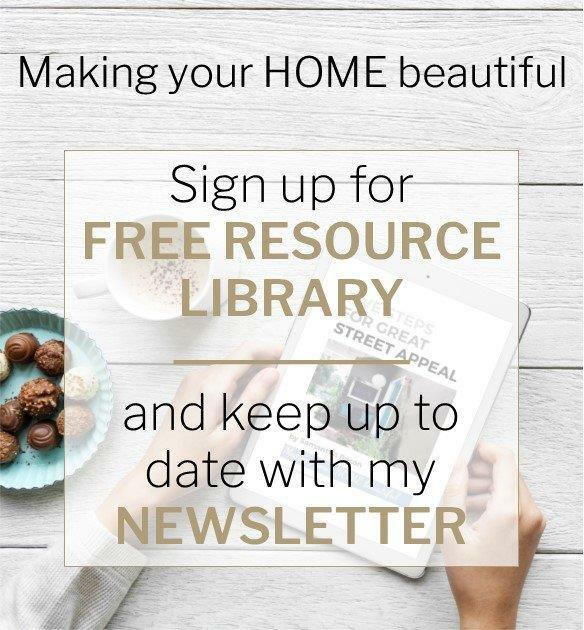 I hope that this guide has helped you to make a start on planning or updating your dining room. I have lots of inspiration on my Pinterest board specifically for Dining Rooms and as always I would love to hear your comments and questions. That was a terrific overview of how to arrange a dinning area . Many thanks . What a great read. So helpful. Thank you. Hi Vicky thank you! I’m glad you enjoyed the article. The image is from Unsplash – a fabulous website with gorgeous photography.